UGH The Media is So Mean to Justin Bieber!!! Why is everyone in the media attacking Justin Bieber recently? He hasn’t done anything personal to anyone for people keep attacking him in the ugly way they are. They are sending out so many bad and rude articles that it just makes me very sad. The people at all the different magazines keep talking about how unhappy they are with him because of what he said on his birthday. But he only said “worst birthday ever.” How is that bad? Why is such a small sentence making everyone write awful things about him every chance they get. Don’t they understand that Justin Bieber is a young nineteen year old who would like a little fun every now and then? Justin Bieber is only nineteen and is going on world tours and creating number one albums. Every day is he at work, working hard to give his fans some great music and performances. Why don’t they talk about the dedication his is putting into his work at such a young age like nineteen? Where are the articles that read that? I don’t agree with this media rudeness that is going on right now with him. People are saying that he is ungrateful which is so untrue. How can a famous person like Justin Bieber be ungrateful when he is always donating money to charities? Does that sound like a selfish person to you, because it doesn’t sound like one to me! He has all this success at such a young age and he is always trying to give back to people who are suffering or people that are in need. That sounds like someone with a big heart who is a really special person. The magazines and media don’t know who Justin Bieber really is and I think they should take time to find out. Instead of putting negative false things in the magazines they should talk about how even when he was sick he still went onstage to put on a show for his fans that paid hard working money to see him. 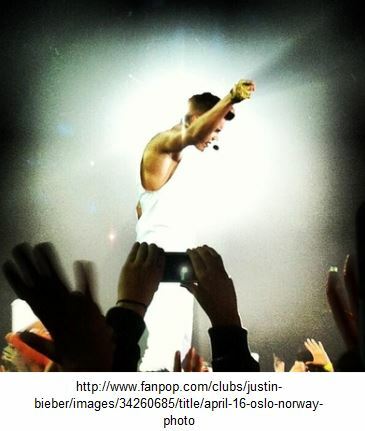 That is dedication and that is an artist who is putting his all out there for his fans. He knows he is where he is today because of his fans and he never regrets that. Justin Bieber is constantly on twitter talking about his love for his fans because he knows how much we mean to him. I can’t really think of any other celebrity that does that on a regular basis. So instead of writing negative things how about we start talking about how much he truly loves his fans? I think we need to start being more positive because that’s what people deserve. Yes, Justin Bieber has made some mistakes but he’s human and he’s only nineteen. He should be allowed to make a mistake every now and then and not have to deal with the media being ugly to him. He is a human being filled with love and I think magazines should be nicer to him. Justin Bieber Tells Us To Kiss Him! Justin Bieber is always teasing us on his instagram. He knows exactly what he’s doing when he post shirtless pictures of him or when he takes pictures of his smoldering eyes looking right at us. Seriously, that look he has when he is staring into the camera makes me feel like he is looking directly into my eyes. It’s kind of scary but so awesome at the same time. It’s like you could talk to the picture and it would seem like if he was listening to you. Okay so maybe I’m the creepy one and now him! Whoops! 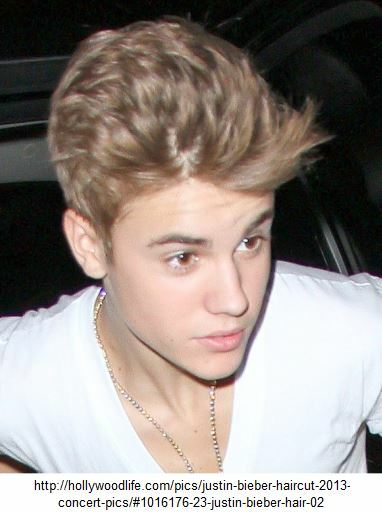 Well in this picture Justin Bieber is focusing on his lips. The picture is of his entire face, but Justin blurred everything out instead of his lips. 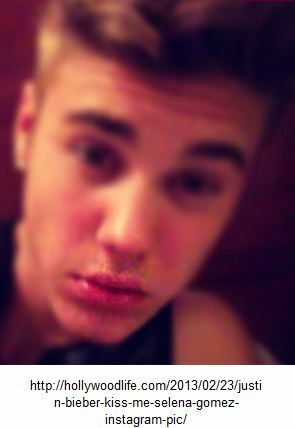 “Just my lips in focus you should kiss me if you notice” was the caption for the photo he posted on instagram. His lips were looking gorgeous! Do you know how many fans looked at that picture and probably kissed their phone? Was I the only one?! Oh, come one you know you did it too! 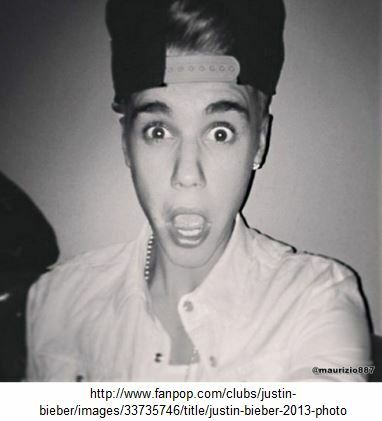 Okay fine, let’s all pretend that we are not that crazy for our Justin Bieber. But let’s look at that caption. Is he trying to get someone’s attention? Maybe someone specific? Selena Gomez has been showing off her amazing body in a bunch of amazing outfits while doing promotional events for her new movie Spring Break that’s coming out soon. So maybe Justin Bieber has been catching sight of these pictures and wants to try and get Selena Gomez to come back to him. Maybe that’s also why he’s been shirtless pretty much anywhere he goes. 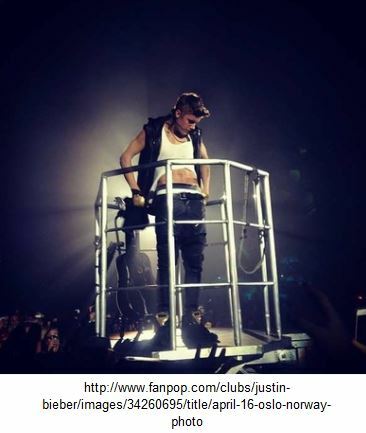 He goes shirtless on his tours, in pictures, and even just walking around on the sidewalk. That’s a little strange to walk on the sidewalk without a shirt but he is Justin Bieber and I’m not complaining when he does. I mean, why would you complain? He looks perfect with and WITHOUT a shirt on. So if he wants to continue to keep it off I won’t mind it at all. I just hope Selena Gomez is paying as much attention to these photos as much as we are! They were so perfect together. I just want to see both of them in pictures together again having those big smiles they use to share together. Justin Bieber sure makes it seem like he wants to get back together with her. Especially after making his acoustic album where a majority of the songs were love songs. Justin Bieber shouldn’t have anything to worry about though. If he continues to look the way he does and continues to just flaunt his ripped body for everyone to see I’m sure some girl will catch his eye. But when she does I hope he doesn’t stop putting on shows for the rest of us! Like I always say, keep your head up Justin! You have such a great career and nothing can stop you from being great! I think that Justin Bieber and Drake collaborating is the best idea ever. First of all, the Canadian connection can’t be questioned. Wow, did that rhyme? Skills. Maybe they should include me next time. Not that I’m Canadian, but hey, sick rhymes are sick rhymes. Anyway, they are both two of the most popular artists of today so clearly, I can see no possibility of the two of them making anything less than perfection, together. Also, they are both notorious perfectionists so that helps. Now, I worry a little bit because when you have two amazing powerhouses working together, collaboration can get a little tricky. Think about it. Someone always takes on a leadership role in a group project. What makes you think that they both won’t try to step up? What if one of them has a better idea and the other is too stubborn to hear what it should be like? What if I’m being entirely too dramatic by assuming the worst? Yeah, it’s probably that last part that’s the only problem here. We all know that Drake and Justin Bieber have actually collaborated already and it is amazing, but I’ve been weighing the pluses and minuses, the pros and cons, if you will, about the two of them collaborating on future works. I would NOT mind being included in that relationship. Even if we are all just friends, it would be cool. COME ON, GUYS! I PLAY A MEAN TRIANGLE! LET ME IN! Pretty convincing speech, right? And I am almost positive that Justin Bieber and Drake can make a triangle a very cool new trend. I feel like they are both such serious artists that they might be offended by my triangle idea. Maybe not? Who knows? Justin Bieber and Drake know. But they are not talking to me. It’s sad, but we all cope with it, one way or another. The point is that Justin Bieber and Drake should consider doing an entire collaborative album to support Canadian music programs or something because I think that would be pretty cool and kind of badass of them to do. Like, maybe some original tracks, but mostly, it should be famous songs by Canadians revamped with touches of their styles. They have a bunch of options. Celine Dion, Michael Buble, Nickleback, Avril Lavigne, and so on. That would probably be a really cool album and I know a lot of people who love inventive covers of classic songs. Can you imagine Justin Bieber singing the song from Titanic?! That has got to be one of the hottest random thoughts that I have ever had. Thank you, my brain. Thank you. There has been some talk about Carly Rae Jepsen vs. Justin Bieber. All of these cray cray theories are floating around like “the student has become the teacher” and some even go as far as to say “the student has surpassed the teacher!” Outraged, I am here to report that Justin Bieber is obviously the better of the two and always will be. I actually have some facts to support this and it has nothing to do with my undying love for Justin Bieber. It has very little to do with my eternal love with Justin Bieber. Ok, the reason I’m fighting about this is because I am quite biased toward the Biebs. But hey, I have good reasons. Hear me out! First of all, Justin Bieber is a household name. My parents know who he is, that is for sure. Now, if I say Carly Rae Jepsen’s name, my parents get that confused look on their faces that makes me think they need a neuro consult. SO point number one in favor of Justin Bieber’s awesomeness = EVERY GENERATION KNOWS HIM. Point of amazingness in Justin Bieber’s favor number two - He has been used as a pop culture reference in so many more places than Carly Rae Jepsen. Now, I know what you’re thinking. All of those ‘Call Me Maybe’ parodies out there, even Cookie Monster got in on the action, that’s got to count for something, right? Well it does. Don’t get me wrong, this was a tough call to make. However, Justin Bieber has been referenced so many times over the course of years (plural) that the sensation of Carly Rae Jepsen’s year (singular) in the spotlight can’t possibly compete. I don’t make the numbers, that’s just common sense. Point number three is obvious. Justin has more albums under his belt. That’s right. I said it. At 19 years old, he has sold like a bajillion records. I’m not talking all 12 tracks from the one album. I’m pointing out that Justin Bieber has spent a much larger amount of time in the recording studio than Carly Rae Jepsen. I’m sure she’s a sweet girl, and Justin wouldn’t have promoted her if he didn’t Believe in her (see what I did there? Lol). But I can say beyond a shadow of a doubt that Justin Bieber is so far beyond Carly Rae Jepsen, that she will never be able to catch up to his shooting star success. 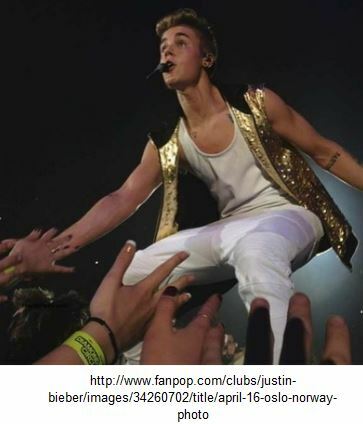 Final point of success, Justin is famous for more than his music. Yes, Call Me Maybe is catchy and sticks with you. It can easily be turned into a cute way of asking someone out with a note. It has a lot of greatness to it. But that’s what we know Carly Rae Jepsen for. Now, Justin Bieber, on the other hand is known for a variety of songs AND his style. He has a hairstyle named after him. His sneakers are notorious. 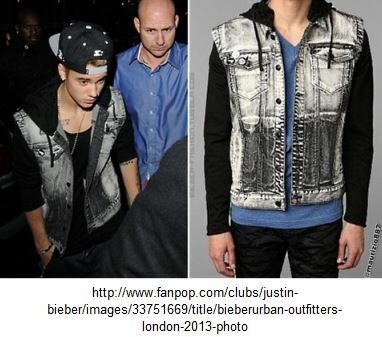 Everyone knows about Justin Bieber’s style in both music and clothing. Justin Bieber Gets Praised For Being Great! Justin Bieber has received a ton of praise for his latest album, Believe Acoustic, and obviously so. The record holds a collection of songs from Justin Bieber’s previous album, Believe, all recorded acoustically and in Justin Bieber style, there were some new songs added too. Some of those new songs are said to be about his breakup with Selena Gomez, but that is for another post because let me just tell you how SICK I am of writing about Justin and Selena, sorry but I am. The latest to praise Justin Bieber are the producers of Believe Acoustic, Da Internz. Please remember, Justin Bieber is not even 20 years old; but his professionalism surprises many people in the music industry, including his colleagues and me, daily! At such a young age it is expected that Justin Bieber may have some mess ups in his career. 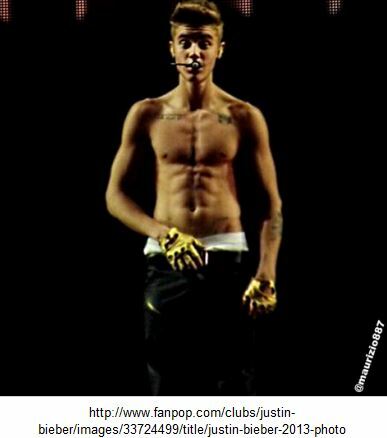 But Justin Bieber has proven everyone wrong, including the guys of Da Internz. “I think Justin [Bieber] is definitely on the verge of turning a corner. A lot of young acts have that problem transitioning from being a kid to an adult and kind of when they turn into an adult things fall off, but so far, I mean… Justin [Bieber], the sky’s the limit. He’s one of the top pop dudes in the game,” Ernest “Tuo” Clark, one half of Da Internz told MTV News. Justin Bieber is definitely at the top of the pop world right now with big hits that seem to please almost everyone, and why wouldn’t it? It’s Justin Bieber and he’s perfect! Justin Bieber worked with the guys of Da Internz on the track “I Would”, but he did get his own credits on the song “Nothing Like Us”. Yes, that is right. Justin Bieber wrote and produced that song all on his own. Tuo says “On the track they said he wrote and produced, I was very impressed. 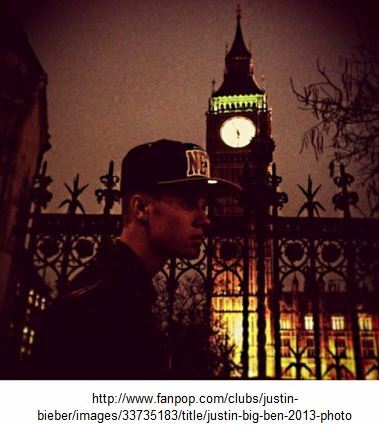 I was very impressed with that.” I am too now that I hear that bit of information… Good job, Justin Bieber! Marcos “Kosine” Palacios, the other half of Da Internz, says, “For us, this project is so huge because people know us more for our urban stuff [with Big Sean and Rihanna]. But, we, as producers, can go left to right and are versatile with our sound. It looks like working on Justin Bieber’s album was a great opportunity for everyone who was involved on the project! We are just so proud of our Justin Bieber! He has been doing so well for himself and we are all excited for what the future has in store for Justin Bieber! And with all the ties that Justin Bieber is making with big names in the music industry, we can expect some new collaboration projects that will only make Justin Bieber’s name that much bigger than it already is. Why am I not surprised by this Justin Bieber announcement at all? C’mon, really? DUH! It’s Beiber’s world and we just happily live in it. ustin Bieber is literally taking over the world so why is anyone even trying to deny it anymore? Honestly, it’s not even worth it. It happened, it’s done. BYE!!! Justin Bieber is knows exactly what he is doing. His management team and him are just complete geniuses. It is crazy that he has this much of a following, especially such a completely dedicated one. I love how people thought Bieber was going to be just a fad and now look at him. Sorry about it. JK sorry, not sorry. 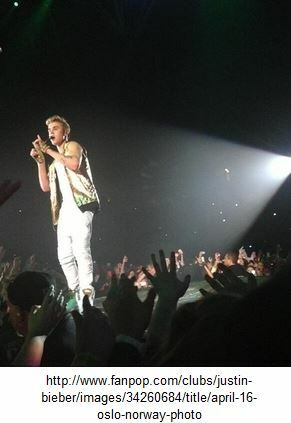 “Believe (Acoustic),” which features stripped down versions of Bieber’s songs from his, of course, fourth No. 1 album, “Believe,” that came out just last June, as well as three new songs, sold 211, 000 copies in its first week. Beiber was previously tied with the former Disney Channel star Miley Cyrus with four chart-topping albums before turning 19! He is only one of the nine artists in history to have a No. 1 album for consecutive years. Good thing he got that 5th no. 1 out fast! Who knows?! Mr. Bieber, who unfortunately (and I’m talking VERY unfortunately failed to pick up a Grammy nomination this year despite the fact that “Believe” was a top-selling album and had a huge tour because of it in 2012, also hosted NBC’s “Saturday Night Live” this week. Along side Biebs, four new albums debuted in the top five slots of the Billboard 200 chart this week, led by, “Believe (Acoustic),” by the one and only, Mr. Justin Bieber. But who really cares about them? Am I Right? Believe (Acoustic) literally melted my heart, killed me, gave me an experience that can be given by nothing other than a little Justin Bieber acoustic music. I just cannot say it enough times. I am SO proud of Justin Bieber and all of his accomplishments over the short time he has been my idol. I just think his messages are so inspiring and they are only confirmed by his crazy success. I know that Justin Bieber will keep going farther and father and getting more and more no. 1 albums because that’s just the kind of musician he is. UGH Just Leave Justin Bieber Alone! No matter where I look in the tabloids, there appear to be non-stop news about the Biebs. Not that this is much of a surprise considering the mega-star that he is, but why is it all negative publicity lately? Is Justin having too much fun these days? Now, we know that Justin enjoys the occasional stroll around town but with all the paparazzi constantly following his every step I’m sure it’s hard to get a moment of peace. From what I hear Justin’s security team definitely have their work cut out for them with the Biebs’ million and one fans and the ever-so devoted paparazzi. Believe acoustic album aside, so far, 2013 hasn’t been Justin’s year. 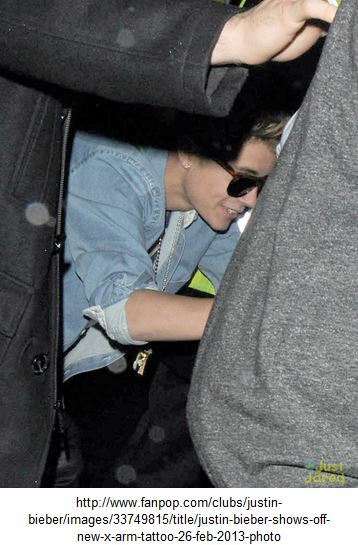 First his break up with Selena, which he was quoted saying left him “not in the happiest place in his life”. Poor JB. If only he understood, just how many other girls are just sitting, waiting and wishing for so much as a smile from him. To his fiasco with the alleged weed-smoking picture taken at a New Years Eve party. And last but not least, to top it all off his body guard is currently being investigated for his aggressive behavior towards a fan who took a picture of the Biebs while he was out shopping at Best Buy in Los Angeles. As far as the police report is concerned the fan claims to have felt so threatened by the bodyguard when he asked him to delete the photo he had taken of Bieber that he called the police. Not to say that perhaps Justin’s bodyguard, or the fan, overreacted but perhaps this whole situation could have easily been helped. Yes, given if I would have been there to witness Biebs’ shopping spree, I would not have had enough space on my phone and camera for all the pictures I would have snapped of him. At the same time, we gotta give the security team a little credit for simply doing their job although maybe next time, he’ll do it a little less aggressively. Nonetheless, neither party is truly at fault. One is an overexcited fan that simply wanted a picture of this teen pop heartthrob and the other is a man in charge of our Biebs’ privacy and security. It’s hard to argue their simple logic, isn’t it? Considering the copious amount of publicity Justin already gets, one simple snapshot from a biebermaniac could turn his entire career upside down. We’ve clearly already seen the repercussion of his New Year’s fun photos. I truly hope, and not just because I love Justin, that things start to turn around for him in the next couple of months. He has made so much progress within the past couple of months in spite of the occasional bumps on the road, that he truly deserves a break. 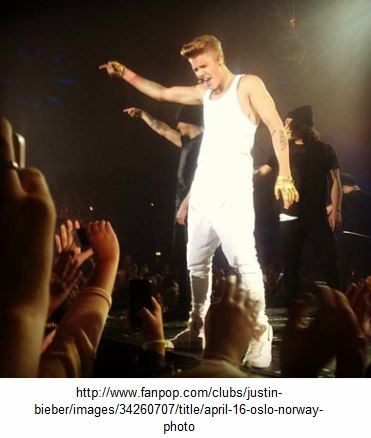 Either way, I’d like to make sure that Justin knows that in case he needs a shoulder to cry on, or a new bodyguard. I’ll always be right here. But seriously, somebody cut him some slack he’s only 18. There is so much buzz surrounding Justin Bieber lately. And it makes me sad to say that it is not all good news. Justin has been getting into some sticky situations recently and it has been really tough to read all about it. First we heard about him using an illegal drug to smoke and now he is doing something else. He recently was caught with drinking out a double cup with an unknown substance in it. But the photographs that TMZ received showed a bottle of sizzurp nearby. Sizzurp is a cough syrup that can give you the same effect of drinking alcohol. 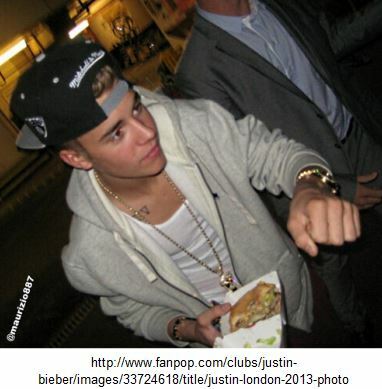 Justin Bieber was with his two rapper friends Lil Za and Lil Twist. So since it was the bottle of sizzurp was nearby people are assuming that Justin was drinking the cough syrup. Sizzurp is only a cough syrup but if it can give you the same effect as if you were drinking beer an Eighteen-year-old Justin Bieber should not be drinking it. I feel so bad for him. He is only eighteen and is in the media so much. It must be hard going through such a confusing time in your life and have it displayed all over magazines and Internet stories. He apparently isn’t doing any kind of interviews and isn’t talking to the press at all. But I don’t blame him. If I was doing things where people were only going to be negative to me and think I’m a bad person I wouldn’t want to do any interviews either. He recently tweeted “Everyday growing and learning. Trying to be better. U get knocked down, u get up, I see all of u. I hear all of u. I never want to let any of you down. I love u.” He knows that everyone is watching his every move. He knows that he may not always be the perfect role model for all his fans. But the good thing about Justin Bieber is the fact that he has fans like us who will always be there when he gets knocked down. And he appreciates having us there for him so much. He didn’t have to write that tweet but he did because he knows that his fans are worried and concerned. I really appreciate the fact that even though he wont do interviews with people he was willing to write a tweet for all his fans and just let everyone know that he is okay. He is going through a lot especially with his recent break up with Selena Gomez so I don’t blame him for all the bad stuff he is doing recently. I don’t always think it’s the right way to go through it but Justin Bieber is human and we have to remember that. 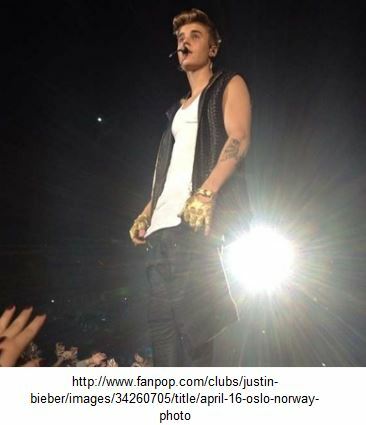 I just hope that no matter what he remembers that all his fans are behind him no matter what. We will always be there to support him even when it doesn’t always look that great. We’re here for you Justin!